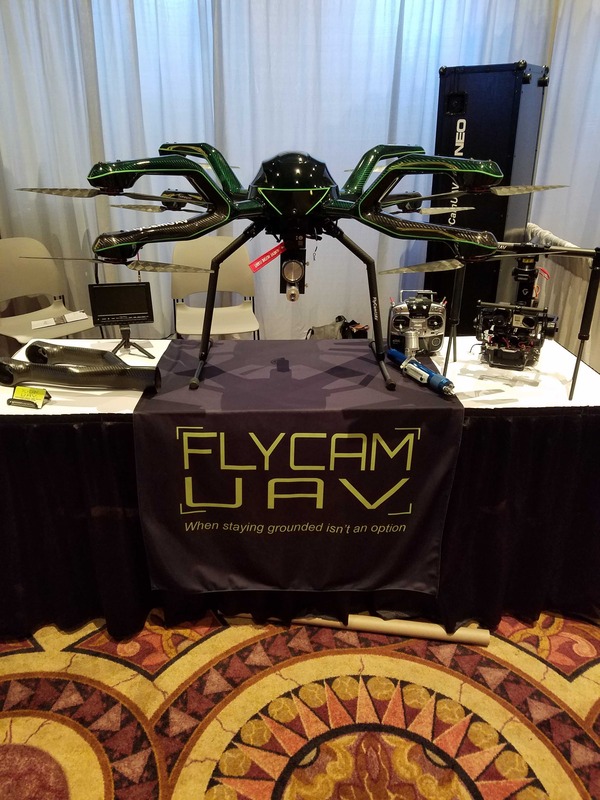 The unmanned industry recently gathered at the MGM Grand in Las Vegas for the Commercial UAV Expo to learn about the latest innovations, to find solutions to the challenges they face and to network with others developing and using this technology. 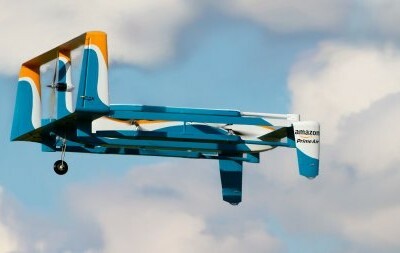 The Acecore Neo from FLYCAM UAV. This unmanned aircraft system is an all-weather co-axial X8 octocopter that has an endurance of about 30 minutes and can fly just about any mission. Not only that, this drone features a radiation detector that can identify radiation leaks in nuclear power plants and alert first responders to hazardous materials in smoke plumes. Homeland Security, first responders and law enforcement are among the professionals the company is targeting with this UAS that can be flown in wind, fog and rain. For more information visit flycamuav.com. The ELIOS from Flyability. This collision-tolerant inspection drone was not only on display during the show, attendees also had the chance to see the UAS in action right at the booth. The drone’s protective frame makes it easy to perform industrial inspections in a variety of confined, difficult to reach indoor spaces, such as boilers, pressure vessels and tanks. While it’s mainly used for these types of inspections, the ELIOS also offers benefits for law enforcement and first responders during search and rescue missions. To learn more visit flyability.com. The Wingcopter. This new vertical take-off and landing (VTOL) UAS flies like a fixed-wing system, giving users the benefits of both platforms. The Wingcopter’s motors are placed in front of and behind the wings during hover mode while the motors are found above and beneath the wings during forward flight. This provides the hybrid UAS with optimal stabilization at every tilt angle, allowing it to reach top speeds so it can cover long distances and stay airborne for extended periods of time. Max flight time is two hours. Visit wingcopter.com for more details. Altus acquires Innoflight. Altus UAS International, a New Zealand company that’s ready to expand into the U.S., announced the acquisition of Taiwan-based Innoflight Technology during the show. Altus will take on all of Innoflight’s assets and form a new combined Taiwan operation, Altus Innovation. The acquisition is expected to be finalized in February. 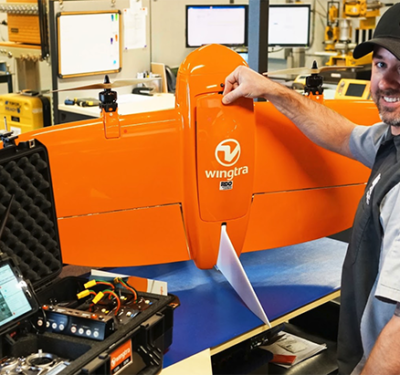 Innoflight manufactures UAS autopilot systems, electronics and components, while Altus develops rugged drones for a variety of applications including asset inspection and crop management. Phase One Aerial. This company had its high-end camera on display during the show for professionals looking to collect sophisticated data and measurements. 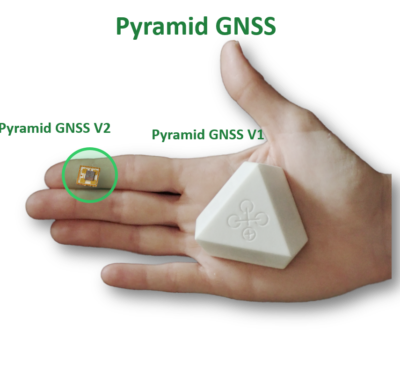 The Phase One 4-Band Solution makes it possible to obtain 100 megapixel 4-band imagery, combining NIR and RGB aerial imagery for a variety of applications such as crop analysis and environmental contamination. The two synchronized Phase One metric calibrated cameras are mounted side-by-side on a specifically designed base plate, an iX Controller computer and the iX Capture software. The cameras can be used together or on their own. For more on this solution visit industrial.phaseone.com. Topcon Positioning Group and Bentley Systems partner. Topcon, a company that specializes in positioning instruments for survey and construction, and Bentley Systems, a comprehensive software solutions provider for advancing infrastructure, announced their intentions to connect cloud services for constructioneering. Both companies will bring cloud-based solutions to the market to provide construction services not possible before. 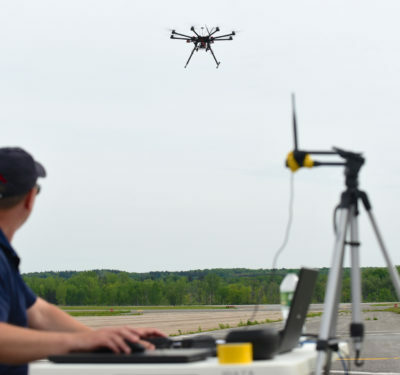 Initially, Bentley Systems will offer its ProjectWise CONNECT Edition users seamless connectivity with MAGNET Enterprise, and Topcon will incorporate ContextCapture image processing for its mass data collection via UAS. So how does it work? Cloud services first bring the construction site conditions to the engineers, enabling them to start with an accurate model of the current 3D context—captured by Topcon UAS photogrammetry and laser scanners—and then processed into 3D reality meshes by Bentley’s ContextCapture software. The engineers’ work is sent directly to construction processes in the field. Topcon and Bentley plan to expand the constructioneering workflow to further applications for infrastructure services. The R4 Roller from R4 Robotics. This drone has a carbon fiber cage around it that not only offers protection, but that also gives it the ability to scale walls. The UAS approaches from the ground rolling and can easily jump obstacles, fly up the stairs or hover in place for about eight hours to collect data. The R4 Roller comes in large and small models that include a primary ground station. The HD100TX transmitter makes it possible to transmit HD or SD video, audio and data the UAS collects and can be used in line of sight and beyond visual line of sight applications. Transmitters are available from 400 MHz to 6 GHz. Visit r4robotics.com for details. 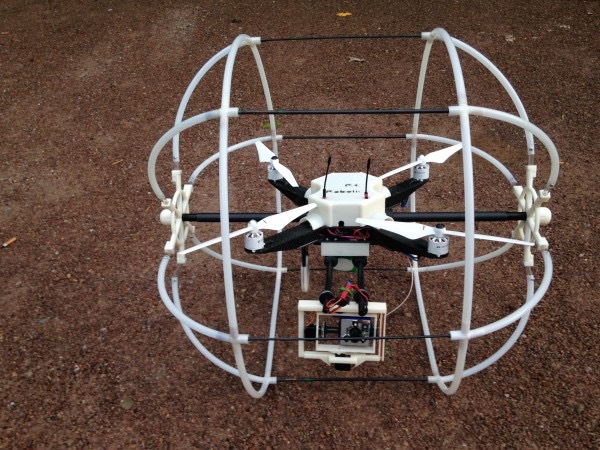 Orbit Geospatial Technologies UAS mapping solution. During the show, Orbit GT released the newest version of its UAS Mapping software, version 17.0. The software includes manual/semi-automated feature extraction tools, volume calculation, contour line generation and asset inventory workflow. All imagery and point cloud (LiDAR or DSM) are supported. Visit orbitgt.com. Epson Moverio BT-300 Smart Glasses. Drone operators can wear these smart glasses while capturing photos and videos. The lightweight glasses make it possible to keep the UAS in sight during flight and to pre-plan flight paths and make any necessary adjustments before taking to the skies. The company has recently partnered with DJI in an effort to create more applications that enhance productivity and safety for UAS pilots. To learn move visit Epson.com/moverio. 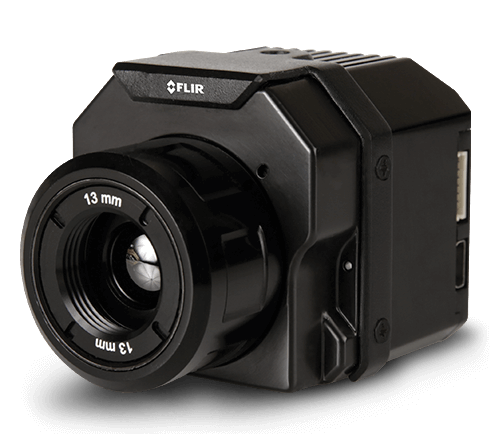 FLIR Vue Pro R from FLIR. This camera makes it possible to gather accurate temperature measurements via a small UAS. Still images collected with the FLIR Vue Pro R camera contain accurate, calibrated temperature data embedded in every pixel for fully radiometric data gathering. Users can easily compare temperatures in different areas of images or see how hot or cold it is in certain spots. The FLIR Vue Pro R was released earlier this year and is well suited for precision agriculture, public safety, power grid inspections and roof inspections. Visit flir.com for details.